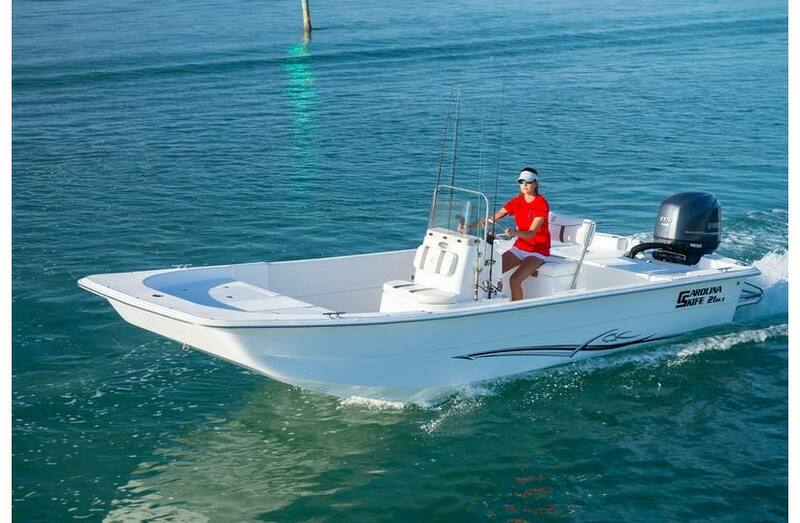 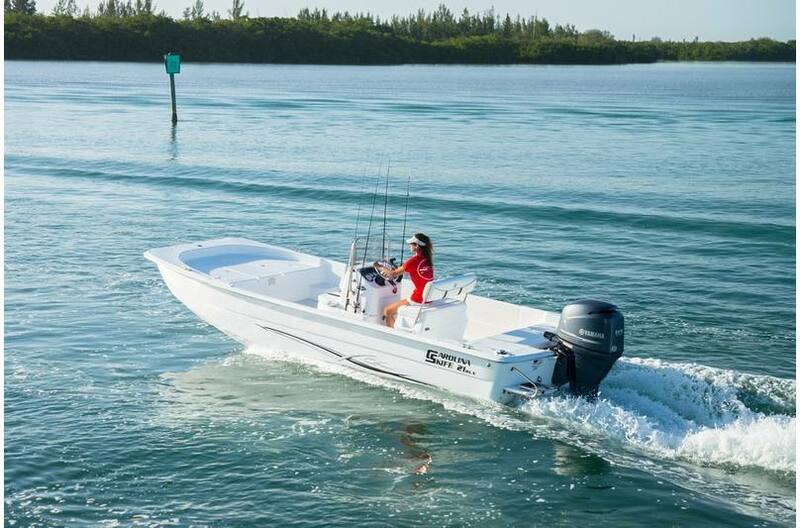 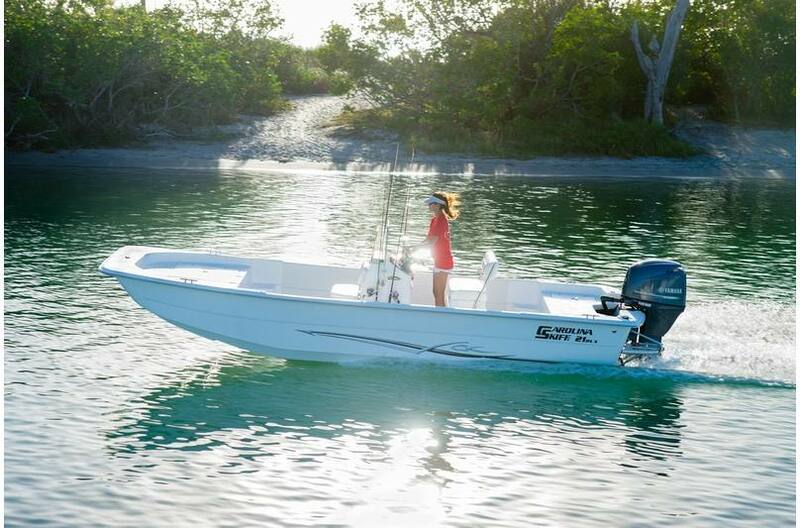 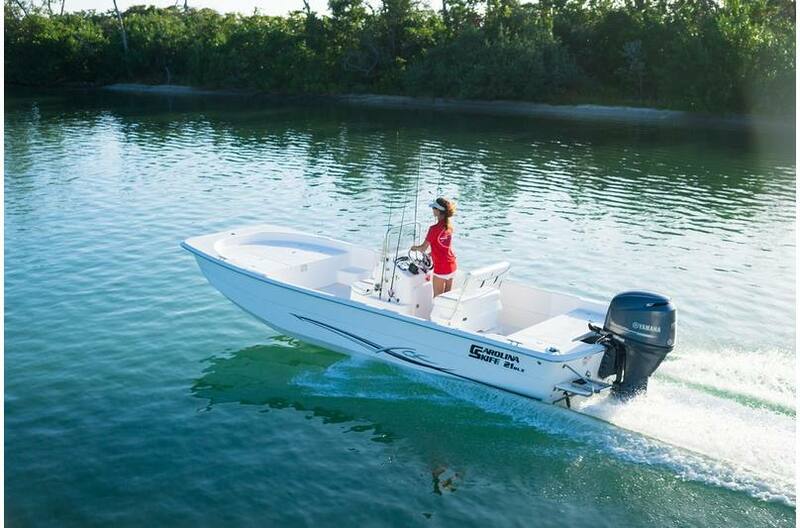 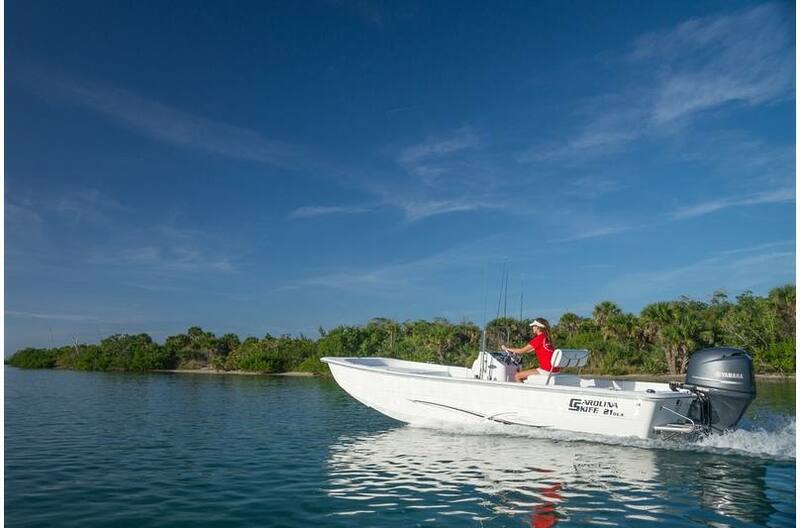 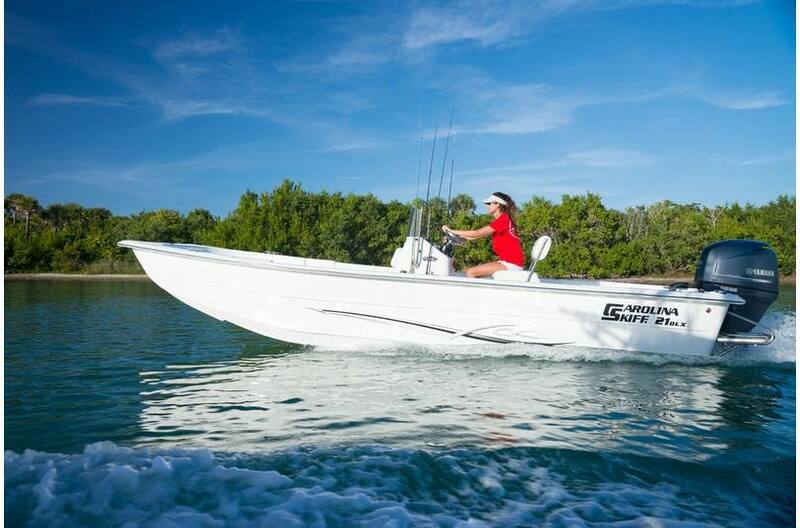 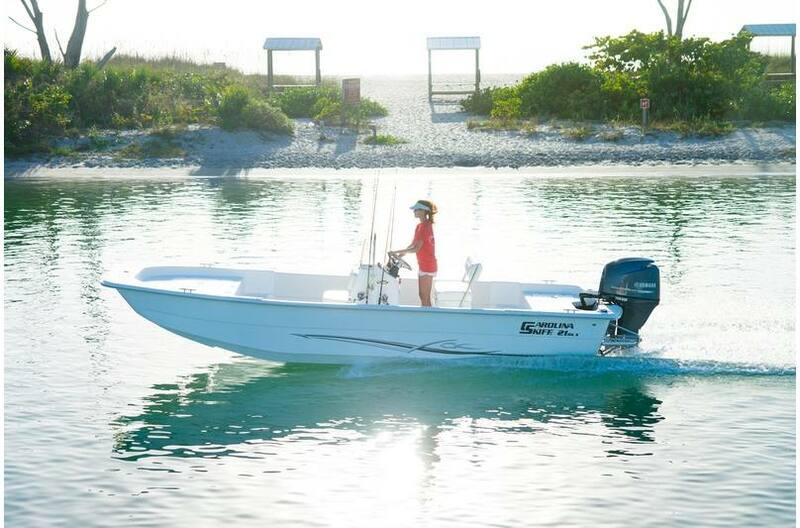 The DLX-Series flat-bottom skiffs can be used for work or play. 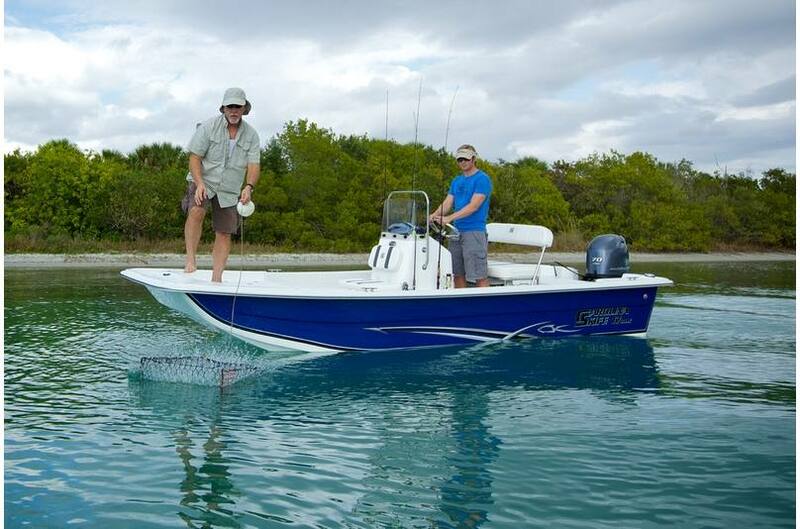 The DLX can be used for almost anything. 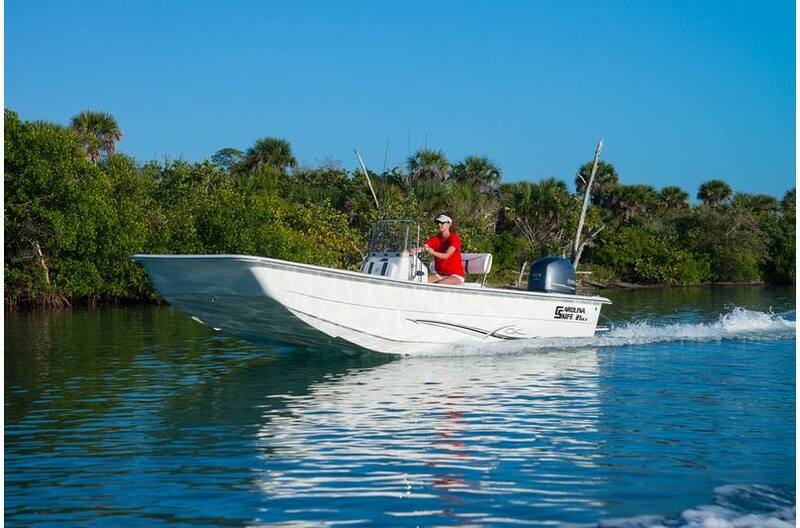 From a day of fishing, cruising or commercial boating, to search and recuse, filming or photography. 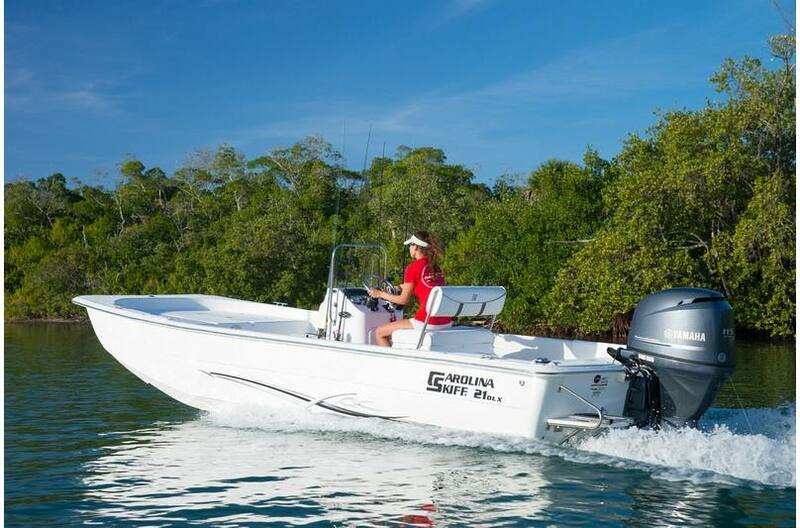 The stable, durable and fuel efficient DLX can carry more weight further and faster using less horsepower. 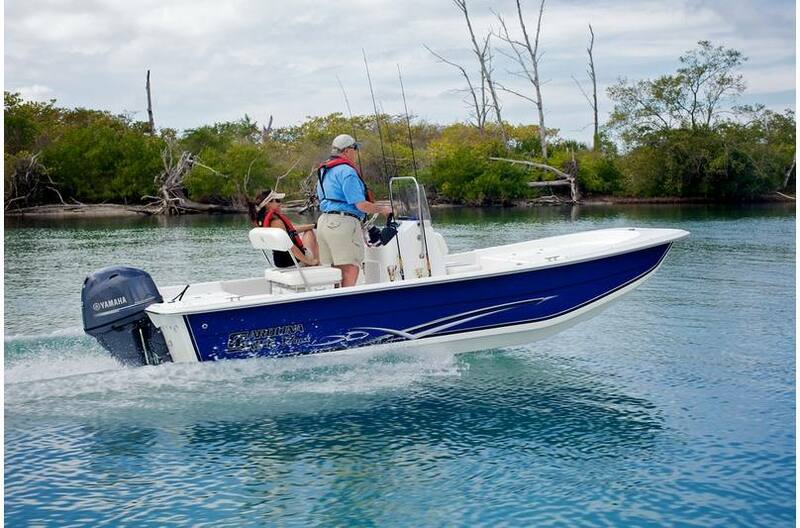 You could say the is like a pickup truck of the boating world. 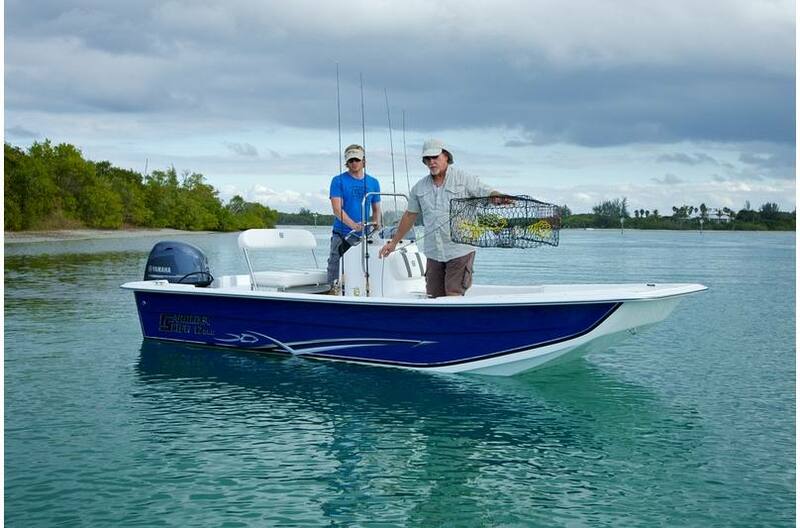 The DLX draws very little water, so getting back into the shallow areas isn't an issue for the flatbottom skiff. 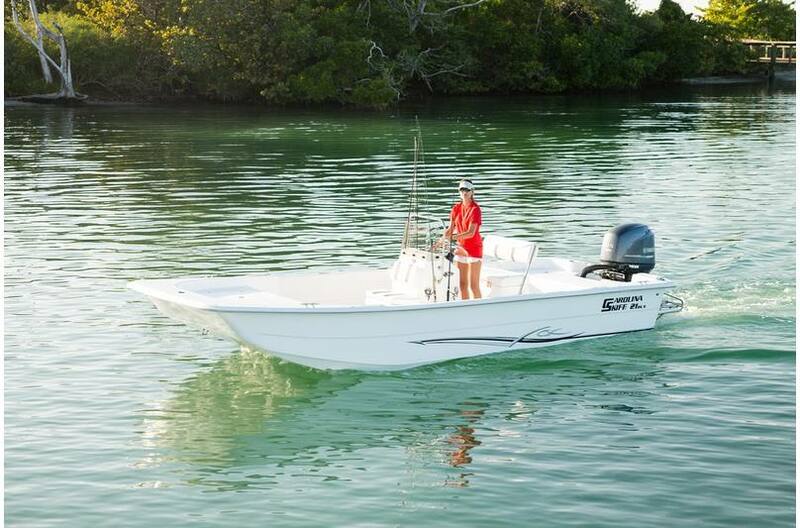 The DLX-Series is a patented hull design with bow splash guards to help keep you dry from bow over spray. 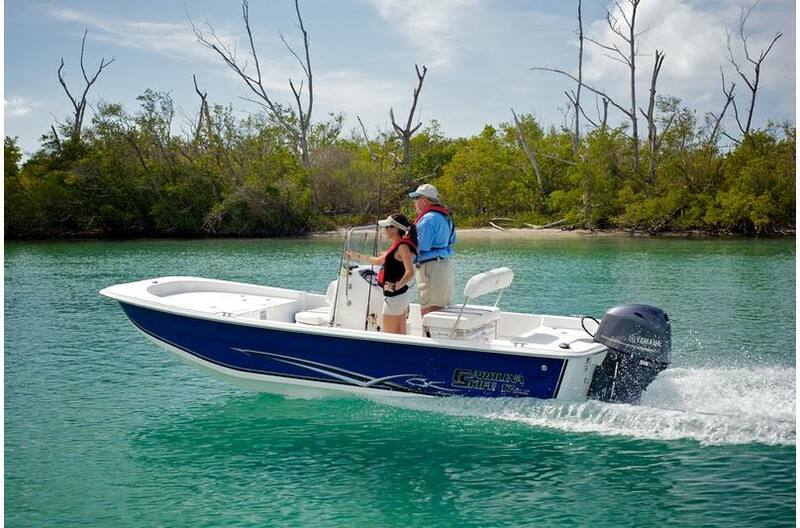 The DLX also has positive tracking keels on the running surface, keeping the boat tracking true while maneuvering without the typical flat-bottom slide. 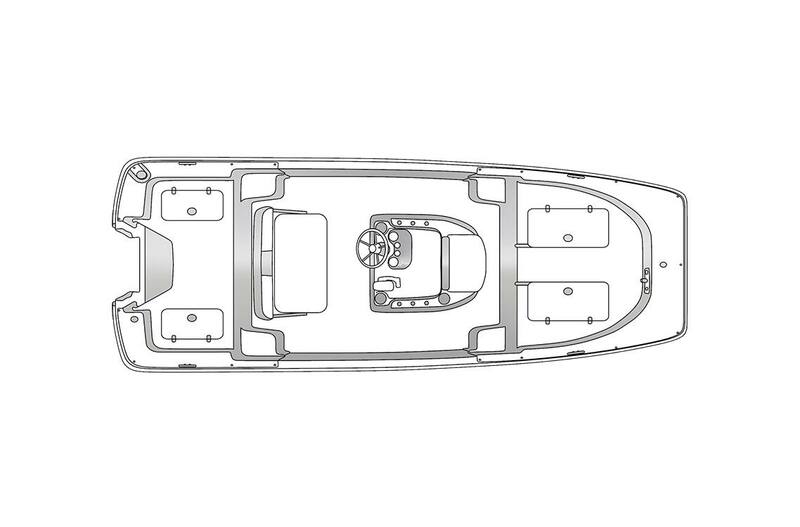 Length Over All: 16 ft. 11 in.